Complexity is the great new scientific paradigm of the 21st century. 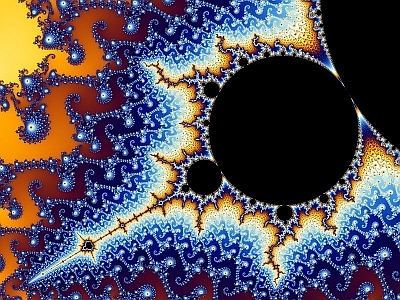 The mathematical branch of this new approach to science was first noticed by the general public when striking computer-generated images of fractals and chaotic behaviour were published during the early 1980s. These images suggested that God is a hippy after all. Fractal sets are generated using simple algorithms; they are dynamic systems powered by feedback loops. The colorful computer images produced by fractal sets look deep because of self-similarities in the structures, and they look complex because of a certain amount of variation created by the feedback loop. Unlike oldskool Euclidean geometry, fractals seem to capture the richness and variety of forms found in nature. But just because a computer image of a fractal set looks good (for a graph) that doesn't mean that it will sound good. On the other hand, an experienced composer like Bach, who knows about themes and variations and musical structure, is able to use virtually any kind of theme and turn it into music. So why not use special numbers like pi or e, or fractals and algorithms as themes? No problem for someone like Bach. Two typical challenges for algorithm-based music are: what algorithms to use, and how to map the raw numbers of - say - a Mandelbrot-graph to corresponding musical events (time, pitch, loudness, timbre etc.)? There's no consensus about the best approach to mapping. 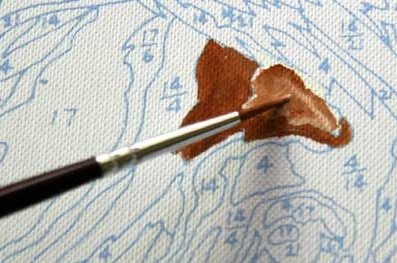 That's good, because if you want, you can be really creative and come up with your own mapping styles. A common method is the straightforward mapping of numbers to 'midi note numbers' (the standardized pitch of an existing sound, like a common digital piano sound). This is boring. You end up with sonic statistics. Creative musical mapping turns out to be more difficult than it would seem. Now, which algorithms are musically interesting? Some algorithmic composers simply assume that there must be sets of numbers 'out there' that (should be able to) sound good. A common strategy is the use of vaguely interesting numbers: successful biological algorithms, weather statistics, interplanetary ratios etc. This is a bit confusing: what's the point of a literal sonic translation of a DNA sequence? Why exactly should a random piece of DNA sound better or more interesting than random phone numbers? There's yet another catch for fractal music specifically: the recursive quality of fractal sets implies that they could, or maybe even (if you're trying to be rigorous) should show up on many 'scales' or levels in the music. The mapping problem again. Anyway, here's a suggestion for fractal music composers that's usually ignored: why not look at dub music? The recursive quality of fractal sets is also found in the feedback loop of sound effects used in dub. Most effects (echo, reverb, phasing, flanging, distortion etc.) have a feedback button. The famous skeptic, magician and mathematician Martin Gardner has said that most music we listen to is 1/f noise. What he means by this, is that most music has the right mix of patterned predictability and random unexpectedness, which is pleasing (as in: not boring) to the human ear. And as a kind of bonus, if you look at the shape of the curve described by this so-called 1/f music, it has a fractal shape. This means that human composers have in fact been creating fractal music for centuries without even knowing it (no computers needed). If you know where to look, fractals are as common in music as the Fibonacci series. Scientists love this. Fractals have been explored in music and sound since the 1980s. Recently, fractal structures have been researched in melodies (Mason and Saffle, 1994; Chesnut, 1996) and in musical forms and phrase structures (Solomon, 1998). Among the fractals identified in musical structures are Sierpinski triangles, Peano curves and Koch snowflakes. But keep in mind that most scientific research into the fractal properties of music is statistical, descriptive and after the fact. In other words: it doesn't help a mathematically rigorous algorithmic music composer, unless the explicit goal is to create statistically correct music (sounds like airports and elevators). An experienced musical composer like Johann Sebastian Bach can use any kind of raw material and turn it into music. This includes algorithms, fractals and all kinds of 'vaguely interesting numbers'. Having said that, algorithms, fractals and numbers have no inherent musical qualities. Even if the approach is mathematically rigorous, fully automated (algorithmic) music composition can only hope to be statistically correct, not aesthetically correct. The recursive nature of the fractal algorithm is no replacement for themes and variations. 1. Visit an aquarium and observe very closely. Compose a piece of music based on your observations and impressions. 2. Write an algorithm that mimics the synchronized movements of a school of fish. Map the movements of the fish to the feedback buttons of your sound effects. 3. Watch this Benoit Mandelbrot video and write a really rough tune. 4. The philosopher Richard Rorty saw the idea of mathematics as a 'language of nature' as pervasive throughout the history of western philosophy. 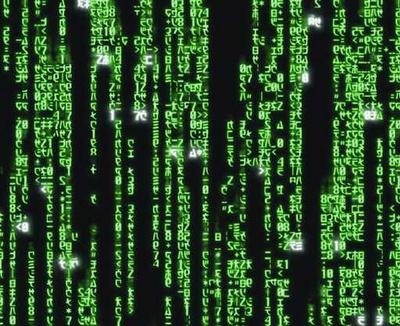 Using the 'language of objectivist metaphysics', explain how this inevitably leads to attempts at making algorithmic computer music.